This past Sunday was the 2013 running of Milan – San Remo, La Primavera, La Classicisima or, as Jen See dubbed it in an article here last Friday, “The Monkey Wrench Race.” By now, hopefully, you already know the outcome and every bit of the insane story of this year's opening Grand Classic, but if you don't, let me cut to the chase for you: German Gerald Ciolek, who rides for the African team MTN, beat the odds-on favorite, Cannondale's Peter Sagan for the win. Oh, and the weather was awful. You have to be pretty skinny to be a top competitor, which means you're constantly on the ragged edge of being sick. Not surprisingly, a few of the fellas who were subjected to Milano-Sanremo's weather are now a bit, well, under the weather. The desire to maintain that race-ready figure while avoiding illness-inviting inclement weather compels people to do some downright silly things. Perhaps not the least of which is riding rollers. Yeah, they have their purpose, but you have to admit that the entire concept is pretty funny. And then there's the whole issue of boredom: How long can a reasonable being endure the hamster wheel and incessant mocking of the clock on the wall in front of them? My own personal record was set during a Minnesota cold snap back when the only way to get busted for using EPO was to walk into the doping control room with an empty ampoule or box of the stuff taped to your forehead. And if you're asking, no, EPO played no part in my ability to set this stupid personal best, only a healthy amount of self loathing. Eight hours. Eight boring-as-hell hours on a set of Al Kreitler's finest rollers. In order to avoid obsessing about the time, I watched zero movies and television shows, refrained from listening to any sort of music whatsoever—lest I be tempted to add up the play-length of my playlist. That's right, it was just me, my bike, my rollers and a blank, basement wall. For eight hours—with a water break and clothing change after four. 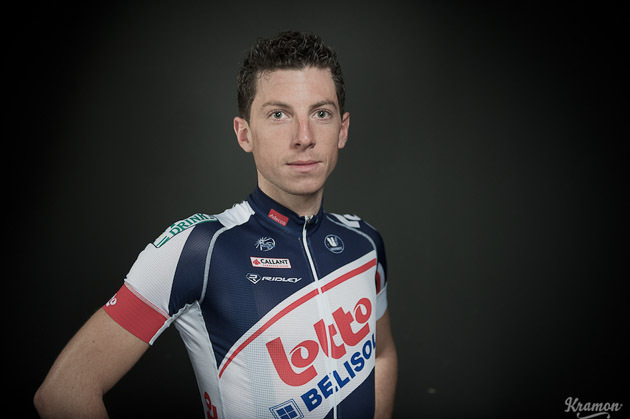 Last week, Sporza reported that Belgian Lotto-Belisol rider Gaëtan Bille hit the same silly mark of spending an entire workday pedaling a bike atop a set of rollers. Bille, who is a bit younger than I was when I rode my own Indoor Classic, credits movies, television shows and social media—via his smartphone—for getting him to the finish line. "Initially, I only wanted to do five hours," Bille told La Dernière Heure. "But friends on Facebook began egging me on to do eight." 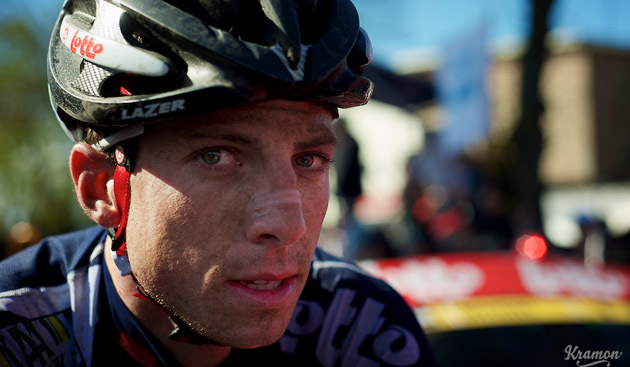 By the time his day in the office was finished, the young Belgian pro had clocked 294 kilometers (183 miles).